We are live on Kickstarter. 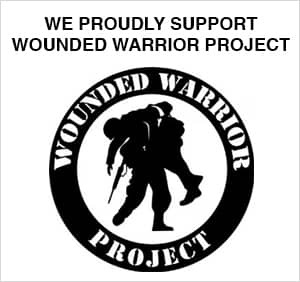 Here is the link to pledge! 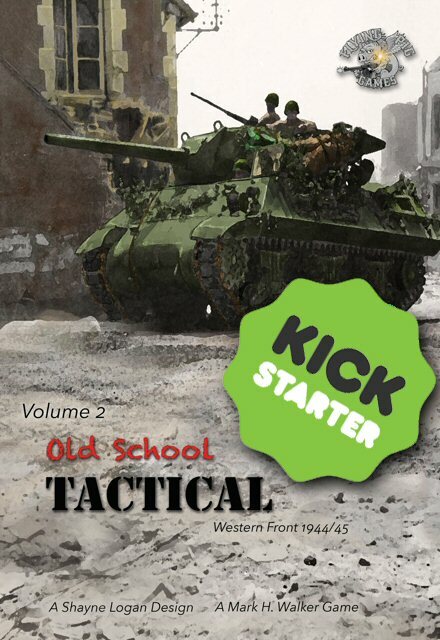 The Old School Tactical Volume II: West Front 1944-45 Kickstarter page is live please support us and help make this our most successful Kickstarter ever. Wanna know more? Read below. This iteration of the quick to learn, challenging to master, tactical game introduces the Americans to the series. Fight across the European countryside with M-10 tank destroyers and Sherman Easy Eight Tiger tank destroyers. 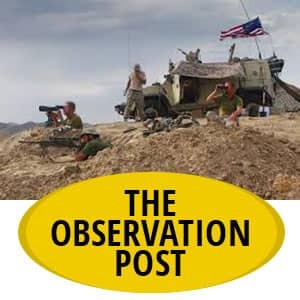 Pile your powerful rifle squads into venerable M5 halftracks or nail an onrushing armored car with a bazooka. Find your enemy, fix them, flank them, and finish them. 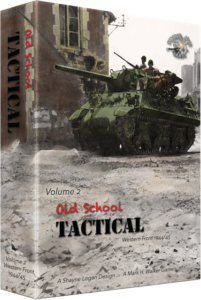 If it works on the battlefield it works in Old School Tactical, and it works with minimal fuss and muss. Check out our web page for a list of new units. OST is the first in a dynamic series of fresh, tactical war games. OST simulates, through an easily-learned game system, small unit engagements on the Eastern Front during 1941-42. 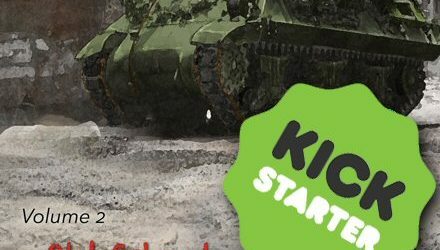 Two players contest each scenario using counters representing the soldiers, guns, and vehicles that fought these desperate battles. On each turn play goes back and forth between the sides as Impulse Points are spent to enable a player’s forces to act. When the battle is over, casualty and victory points are tallied and a victor is declared.